The Americans returns to form in its stellar final season premiere. It’s finally getting to you after all these years. The opening of “Dead Hand” unspools wordlessly across several minutes of montage. The year is 1987 (note the THREE-YEAR time jump) and the Jenningses are at an existential crossroads. We see Elizabeth on a series of different missions: seducing a diplomat, caring for a government official’s ill wife, and waiting for communications by a rail line. Each one its own project requiring a different role and a different disguise. Only her ever-present cigarettes remain the same, hinting at the enormity of her workplace stress. The scenic vignettes are crosscut with shots of Philip looking more refreshed than we’ve ever seen him and heading a successful and expanded version of his travel agency. He looks happy, the opposite of Elizabeth’s obvious anxiety, a feeling reinforced by Crowded House’s “Don’t Dream It’s Over” backing the visuals. In the time since we’ve last seen the Jennings family Philip has retired from spy work, assuaged by the feeling that he’s done enough for his country. Elizabeth, ever the true believer, carries on with her missions, disguises, and personas while her husband only has one role left to play: successful businessman and father Philip Jennings. Marriage is hard enough under stress, but how much more so when only one partner is carrying all the weight? 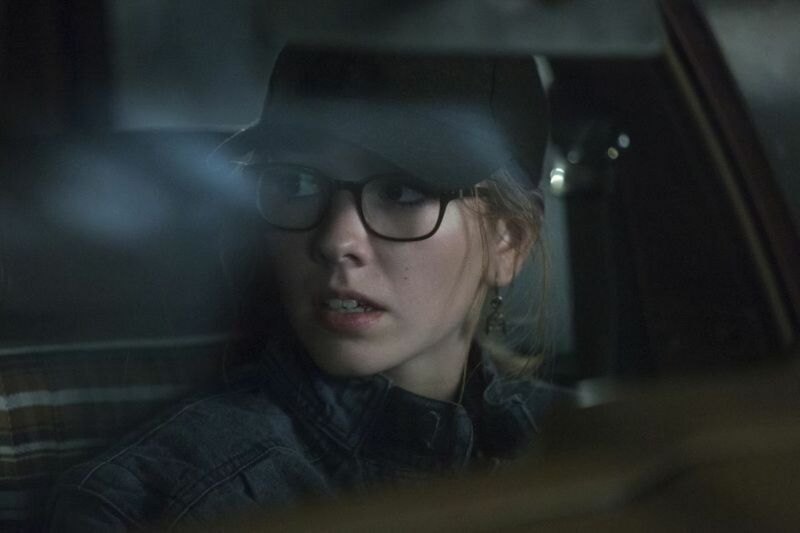 The Americans is back, and I don’t just mean that the show is returning for a sixth and final season. “Dead Hand” makes it clear that FX’s acclaimed series has returned to form after a lackluster fifth season that left fans and critics alike as cold as a Siberian winter. As such, it makes sense that “Dead Hand” is focused on the idea of reemergence, and so it has to put all its characters on the chessboard. Elizabeth’s latest project is a visit to Mexico to meet with a mysterious contact. It’s last minute and even Claudia doesn’t know who he is or what he wants except that it’s important. What Elizabeth finds is a Soviet general from the strategic rocket forces who tells her about a new Soviet project called Dead Hand, a fail-deadly automated program intended to launch a retaliatory nuclear strike against the United States even in the event that no one in the USSR has survived an American first strike. It’s a deterrent against US aggression and an evolution of mutually assured destruction, but it also represents a new danger on the nuclear stage. Gorbachev’s new policies of openness loom over the entirety of “Dead Hand” even as the Soviet Chairman himself never appears. Oleg, like Philip, left operations work and is a contented family man, married with a one-year-old baby (and a beard!) when Arkady knocks on his door one night. The two briefly catch up under the cold Soviet sky before Arkady implores him for assistance in a special project. Arkady, like Gorbachev, sees the new Soviet openness as a way forward for his country, but even if Gorbachev is the Soviet leader in name, he doesn’t have the KGB’s backing. Arkady knows about Kovtun’s mission to derail the US/Soviet conference and begs Oleg for assistance recalling how Oleg once ignored official Soviet protocol in favor of the greater good. Oleg is understandably hesitant, knowing that he risks death if he’s caught, but Arkady implores his old protégé to help him build a better country for his new son and prevent the USSR from sliding back into the bitterest days of the Cold War. The mission is simple. Arkady knows Kovtun’s plan and the female asset he intends to use to do it, and he implores Oleg to use his father’s connections to return to America and find that asset’s husband, a man he met once before and, like he and Oleg, cut from a different cloth. He must convince that man to spy on his own wife and prevent Kovtun’s plan from being enacted. That man, of course, is Philip, a man so currently removed from the spy game that we see him line dancing with employees in one sequence (seriously, it’s almost a Spider-Man 3 level of weird), and when he and Oleg finally meet in a Washington D.C. park he’s expectedly reluctant to pick up sycraft again. Even more so if it means spying on Elizabeth. But Oleg, himself returning to the game from civilian life and expecting execution if he’s caught stateside, cautions him that “the future of our country is being decided right now. You know that. I’m sorry you have to make some tough decisions.” There’s not really a choice for Philip to make, and he’s forced to return from his retirement, another dead hand now reactivated in the Cold War. He tries to talk to Elizabeth when she returns home that evening, but his exhausted wife, fresh from killing a Naval Guard who took Paige’s student ID and asked her for a date while she was on a surveillance mission, is in no mood. She dismisses Philip’s prying, and heads to bed after a heated exchange with their entanglement still undiscussed. 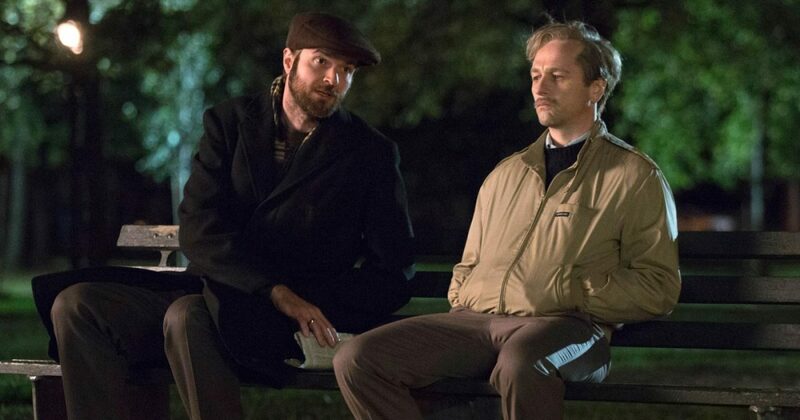 For all of the show’s spy trimmings, The Americans has always been a show about an American marriage and all the emotional baggage that goes with it: problems not discussed, things not said. We only get brief appearances from Stan in “Dead Hand,” but he seems much the same, still dating Renee and working for the FBI but no longer in counterintelligence. With other old guns like Philip and Oleg returning to the great game how long will it be before Agent Beeman is back on the case, especially if it gives him the chance to bring his old partner Chris Amador’s killers to justice? 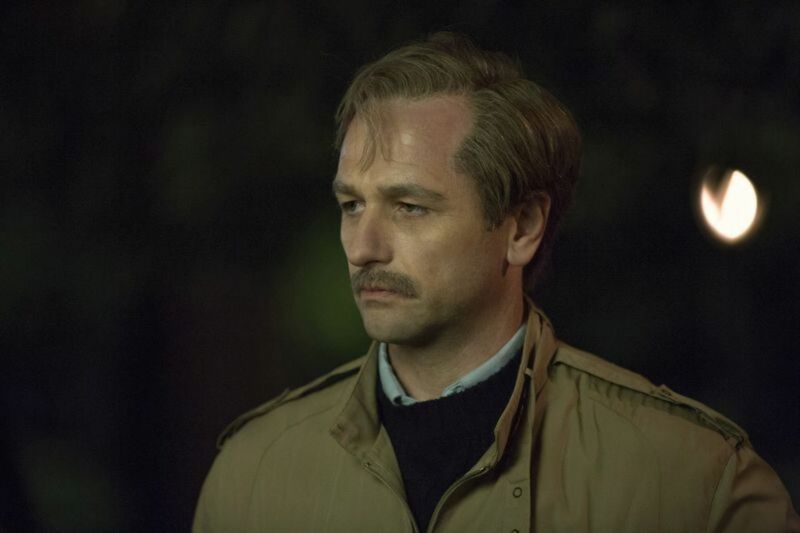 Thus The Americans returns in full force, reveling in its trademark simmering tension. Anyone concerned about last season’s lackluster run should feel encouraged by “Dead Hand’s” excellence. It seems the show itself was put into a brief holding pattern as the writers moved their characters around the chess board and staged them for the final act. Now it too is returning to the front lines as those characters act out against a backdrop of circumstance that court nothing short of nuclear war. And we get to watch the fallout. With US-Russian relations strained again The Americans is more topical than ever. The Dead Hand system was a real thing and it’s believed to still be active over there in Russia. So good luck sleeping tonight! A wild Henry Jennings appears! I was convinced that we were done with Henry after he left for boarding school last season, but “Dead Hand” found him playing organized hockey as Philip cheered him on. What a nice evolution from the multiple seasons of he and Philip practicing slap shots in the driveway. Also, Henry is now a full-grown man. How he and Paige both have grown up before our eyes! FX isn’t skimping on the music budget this year. “Dead Hand” included the aforementioned Crowded House song as well as “Listening Wind” by Talking Heads and nothing less than “Gold Dust Woman” by Fleetwood Mac. The Americans continues to use Fleetwood Mac to fantastic effect. I’m predicting “Go Your Own Way” for the finale. I’m not sure about Frank Langella’s availability this season, but it seems that Margo Martindale is finally back in the fold for good. She’s listed as a series regular instead of just a recurring star. It’s going to be so weird to look back in 10 years when this show is a classic and remember that she missed multiple seasons to make a CBS sitcom called The Millers. Remember that one? No. why would you. And now for some housekeeping. I’m going to make an effort to cover this entire season, but it remains to see how that will go. I’m willing to try, but no promises. I do have a life to live. My cable provider running the show at 11pm still isn’t helping, but I love The Americans and this final season looks dynamite. I want my recaps to be along for the ride.